Hi! Long time no see. I've been pretty busy with non-Internet stuff lately, so I made a video to explain what I've been up to and what I am thinking about. As an adult, anyway. No, this trip was not influenced by Macklemore. I think. I do a lot of background acting in North Carolina (you can see me in We're the Millers, Revolution, Under the Dome, etc. ), and, as a background actor, you're often expected to bring your own wardrobe. The more options you have, the better. You generally can't have anything too bright or with logos/images, and, in my case, that greatly limits what I can bring. I often have to take my brother's clothes, so I've been slowly building up a new wardrobe for myself, primarily for background work, but also because I've been wanting to change up my style anyway. 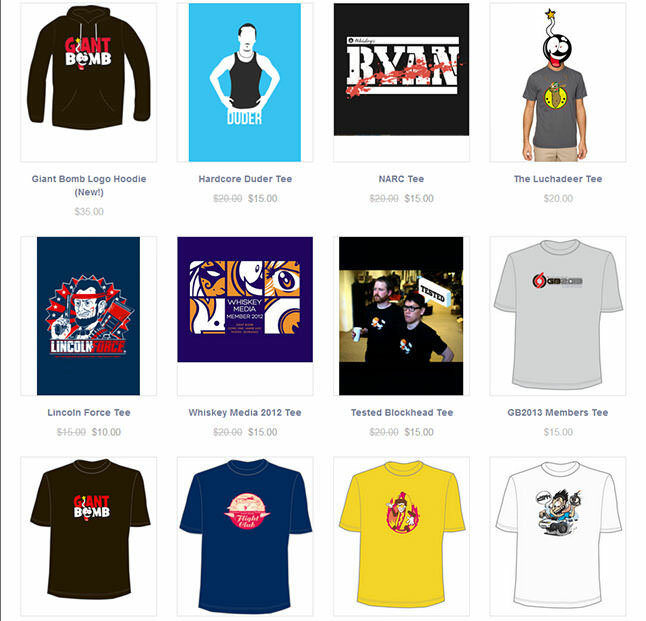 Sorry, Giant Bomb Emporium, but your shirts are too flashy. I read a post on Facebook about one background actor who makes a trip to a thrift store every week or so, limiting themselves to spending $1. That sounded like a great way to quickly build up my new clothing collection, so, for the first time, I dropped by my local shop that I've passed numerous times over the past couple of years. I donated four pairs of pants my brother gave me as the logos were too big for me to wear on set and then went to the back to browse. 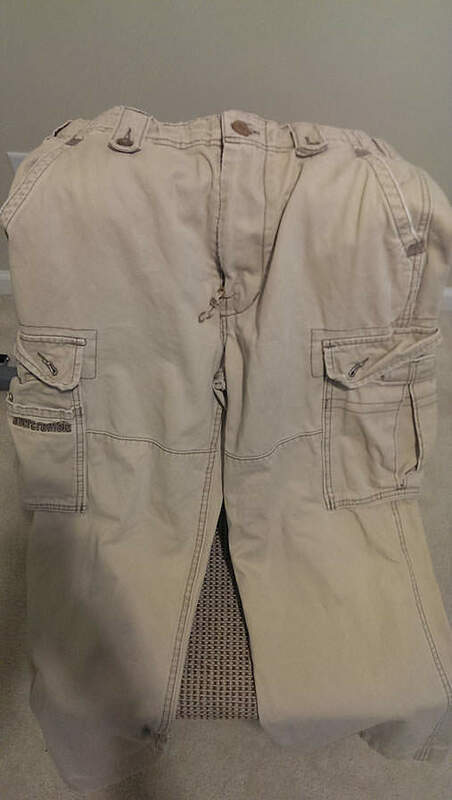 I came away with two pairs of pants for $1 and a like-new garment bag (along with the two hangers and U.S. Army garrison cap inside) for $3, making for $4 total. Not bad! 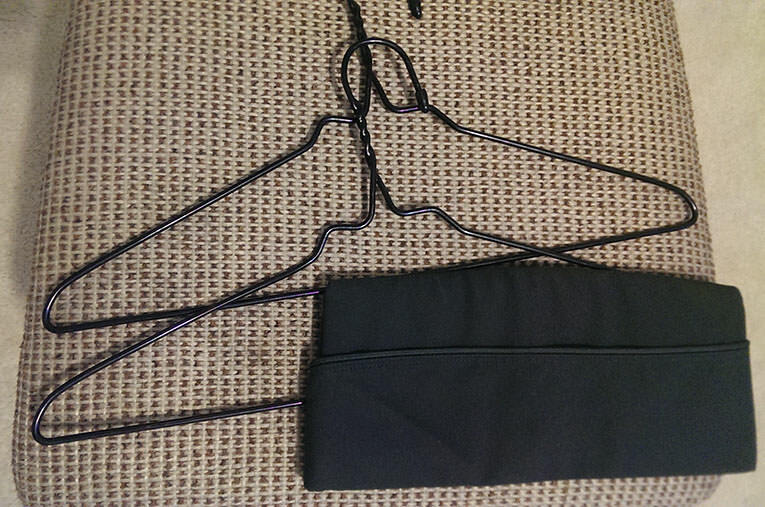 I've been badly needing a proper garment bag as my clothes would often wrinkle on the two to three-hour drives I often have to take to set, and carrying them around was always a hassle. 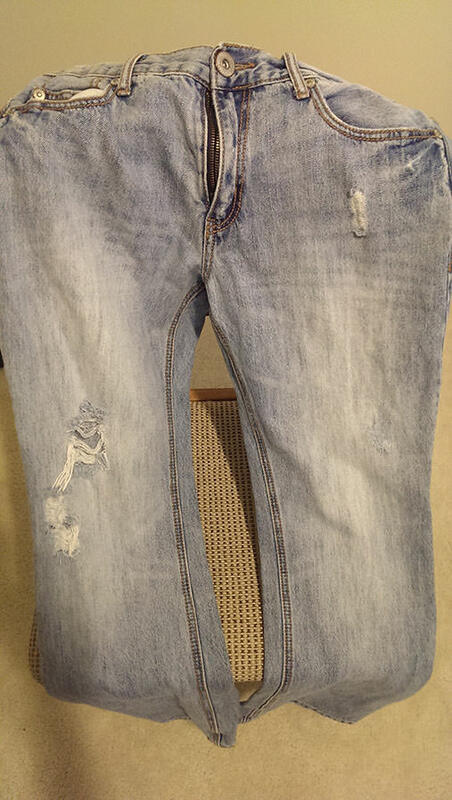 I suspect I got a better deal because of the pants I donated as she originally wasn't going to charge me for the clothing. I didn't feel right about that and told her to charge me what she thought was fair. The store also had a PlayStation and PlayStation 2 I briefly considered picking up, but they didn't have any cables or controllers. There were also some older games, like SSX Tricky for the Xbox. As I drove away, I fantasized about what it would have been like to find a fully working Dreamcast and a copy of Shenmue. I wouldn't be writing this right now, that's for sure! 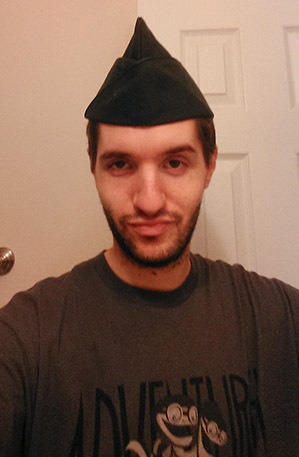 Now that I have my garrison cap, it's time to hit up the Casual Encounters section of Craigslist and pick up women looking for military guys. I should probably shave first, right? My default Casual Encounters face. Works every time.